Got on the water pretty late (around 1:20pm). There were plenty of people by the launch ramp no. 2 and a few bass boat around. Try hitting the east side for LMB only to get a few strikes but couldn't land anything. 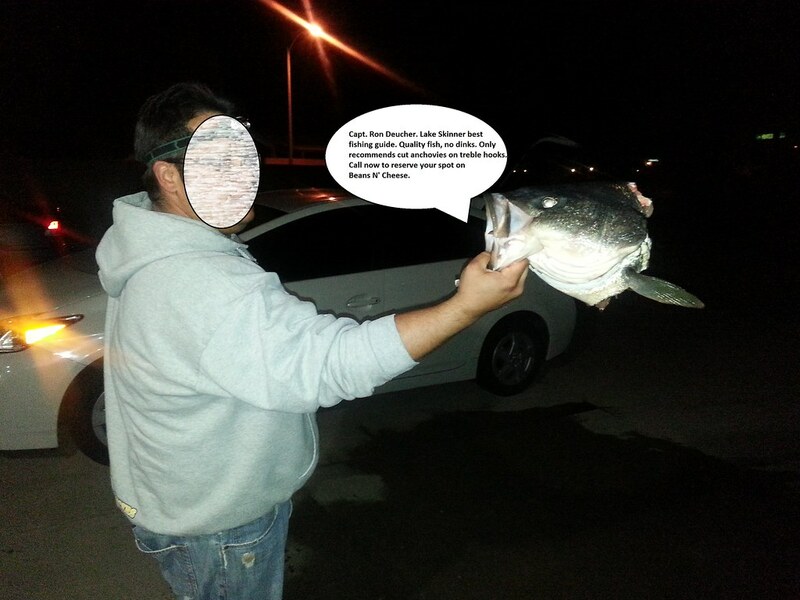 Caught this toad on the way back to the marina, though it was only 1 fish guess it's better than no fish. Anchovies for life! 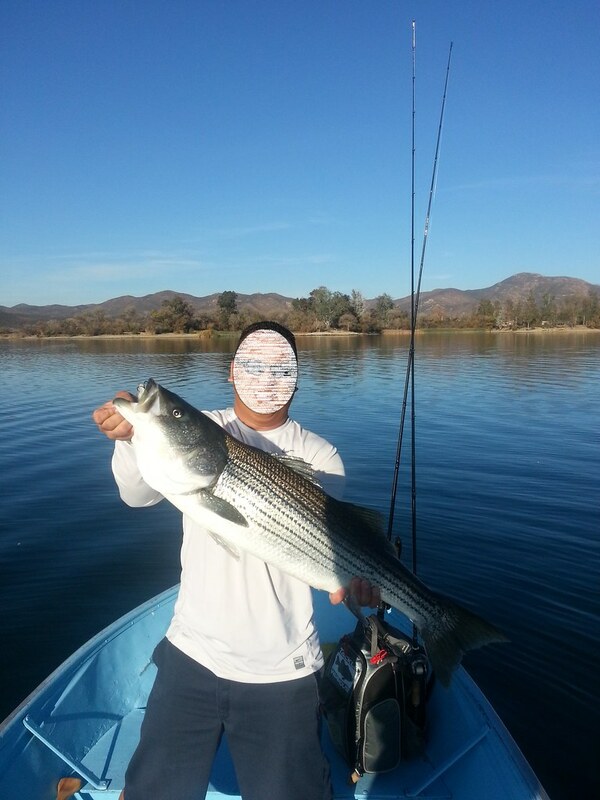 Hey Tim, nice 6lber. Congrats. Thanks! Marine scale put him in a tad bit over 15lbs. My home digital scale got him over 18lbs. Yes I'm a bit camera shy. Besides if my work ever finds out; I was out fishing instead of being home sick? They wouldn't appreciate it that I had lie to them in order to go fishing. And in regards to the anchovies comment. Guess most of you missed the sarcasm ( ) icons. But if you insist on what I really look like..
Also I would like to give a big thanks to Capt. Ron Deucher to put me on the fish. 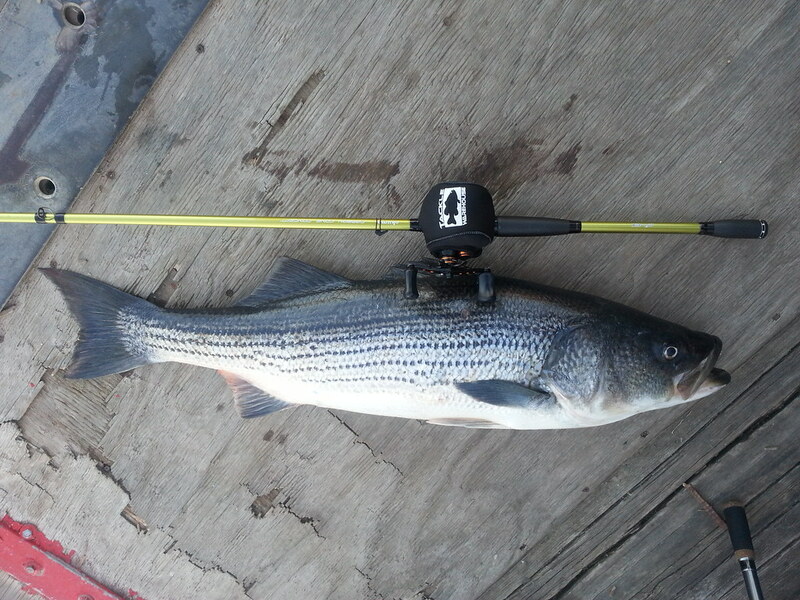 Good ole instincts and know how to fish for LMB and striped bass. And a big shout out to San Pedro bait for providing the best and fresh anchovies. 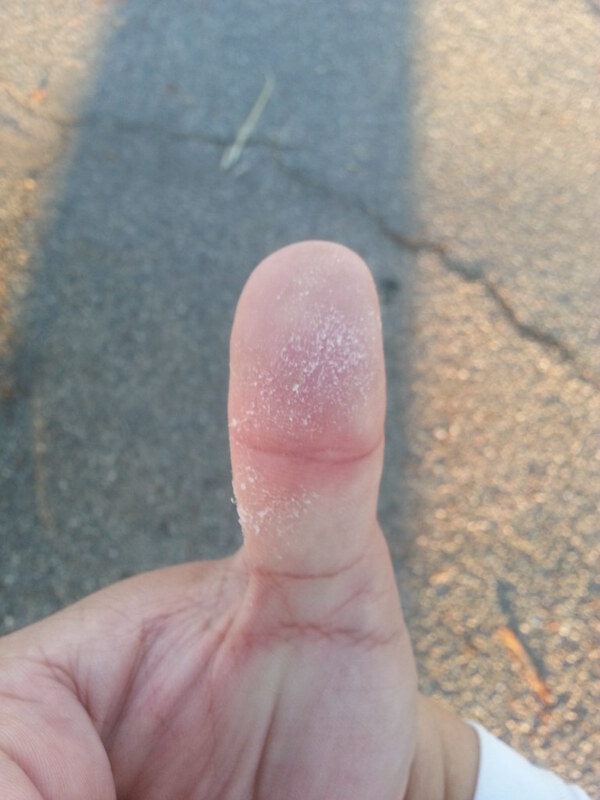 You know it's a good day fishing when your thumb looks like this at the end of the day. Below is Capt. Ron Deucher preparing to filet my catch. Thank God your fist was in his mouth! Lol. Love the thread. Ran into you at the marina, we came in on the pontoon at the same time.